A few years ago, a study found that the average Australian family spends a whopping $1,150 per year on purchasing children’s toys. Let’s just take a moment to think about that figure – after 9 years, an average family will have spent over $10,000 on toys. By the time the kids have left home, this figure may have topped $20,000. More recent statistics show similar trends within households in the United States and the UK. Joining a toy library is not only a great way to reduce spending in your household, but also provides a range of other great benefits for children, parents, and the broader community. This article contains information about what toy libraries are, how to find toy libraries in your local area, and the benefits associated with joining your local toy library. In America the first toy library is reported to have opened in Los Angeles during the Depression, when a store owner decided to create a toy borrowing system for families who didn't have much money – an idea he developed after observing children from low income families trying to steal from his store. Apparently the network of toy libraries within LA eventually grew to 60 sites around the city, with around 400 libraries now being in existence in the United States. Australia’s first toy library was established in 1971 and was intended to provide support for families who had children with a disability. Nowadays, there are over 120 libraries operating in Australia. A toy library is similar to a book library, in that you can borrow items for a specified period of time, returning them and borrowing others once the borrowing period has expired. 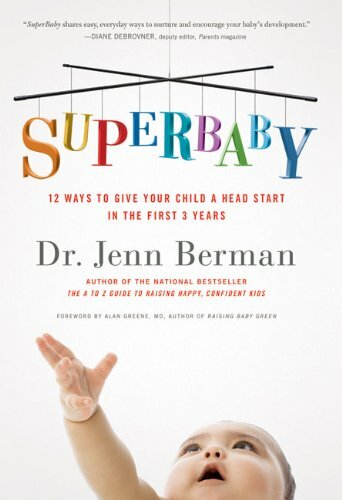 However, instead of borrowing books, the items on loan are children’s toys. While different libraries can vary significantly in terms of their size, membership base and range of toys, they often have one thing in common – a clear focus on providing families with high quality, educational toys for borrowing. Most also endeavor to keep membership fees as low as possible in order to ensure that families with fewer resources are still able to access the service. 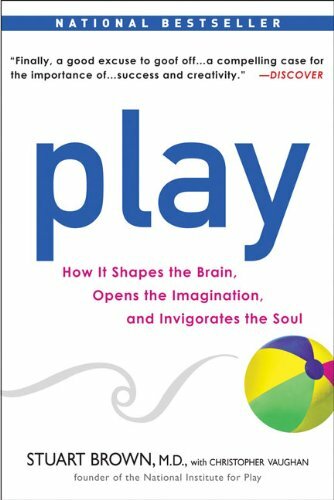 In recent years a number of great books have been written on the importance of play in early childhood. Play helps kids to learn about the world around them and to develop critical skills that will be used in later life. In a sense, your child’s ‘job’ is simply to play. Spending time actively playing with your kids is one of the most important things that you can do as a parent or caregiver, and it goes without saying that no amount of toys will ever replace the important life lessons that children learn through direct interactions with other people. However, the reality is that as parents and caregivers juggling multiple demands, we often have limited time available to spend interacting in a one-on-one manner with our children. Sometimes kids just want to play independently, either with or without toys. Research suggests that the best kind of play for children is unstructured, free play – the kind of play where kids use their imagination and interests and play in whatever way they want, at their own pace. As parents, it is important to ensure that structured, organised activities (e.g. sports and music lessons) are balanced with time for children to engage in free play. One of the ways in which we can encourage children to engage in this kind of play is by providing them with toys that create opportunities for imaginative play and stimulate their interest and learning. And of course, this is where membership to a toy library comes in handy – by providing families with easy and affordable access to a wide range of toys that are designed with this exact purpose in mind. As we’ve seen, one of the main advantages associated with joining a toy library relates to the significant cost savings associated with borrowing rather than purchasing items for your family. As suggested earlier, it often takes only a few years for a family to spend a small fortune on buying toys, especially given the relatively short period in which children undergoing rapid developmental changes often play with specific items. Many toy libraries are designed to accommodate a broad range of ages, with toys appropriate for young babies right through to 8-10 year olds. Access to high-quality, educational toys - but without the expense! For parents, greater opportunities to become more involved in community activities through volunteering at the library or participating in committees. In most situations families pay a small annual membership fee to gain access to the toy collection, with the cost associated with this usually being much lower than what it would cost to buy only a couple of high-quality toys from a store. As an example, membership to my local toy library costs only $65 per year for a family with two children, allowing up to 8 items to be borrowed at any given time. Lower prices are sometimes offered for families who are entitled to government concessions. Most libraries have specific opening times or borrowing sessions in which members can visit to return borrowed toys and look for new items to take home. Often a database is maintained by the library committee so that records of loans and returns can be accurately managed, with some libraries allowing members to renew their toys and check their loans online. In Australia toy libraries are primarily run and managed by volunteers, with a committee of members taking responsibility for different aspects of the day-to-day management of the library. In many cases members are required to volunteer their time during borrowing sessions 2 or 3 times a year in order to keep things running. Many members find that volunteering creates great opportunities to meet other parents and families within their local community. How do I find my local toy library? Often the best way to find a library in your local area is to search online for an official Toy Library Association in the country or area in which you reside - for example, Toy Libraries Australia or the USA Toys Library Association - as registered libraries within the area are usually listed on these sites. In some situations there may be several toy libraries within a specific area, allowing families to visit different sites and decide on the library that best meets their needs. Joining a toy library is a worthwhile activity for any family who wants to save money, become more involved in their local community, and reduce their impact as a consumer – so what are you waiting for? Join up today! it's a good way to educate our children and saving some money thank you. Thanks zaki99t! I definitely agree - my kids love it and I've made lots of great connections in the community through ours. A great idea! My town has several tool libraries. A similar concept...check out things you may only need once for a special job, or bigger items you don't have the money or space for. One time I went to check out a weed wacker only to find they were all out. Someone heard me ask for it, and they offered to loan me their personal weed wacker! They are a great community staple. Oh wow BACaldwell - that is a great idea! Might stop my husband buying so many tools he only uses once... hehe!